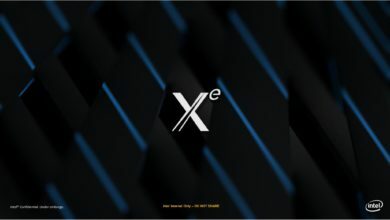 Intel recently unveiled a new GPU prototype based on their existing integrated GPU architecture. Unfortunately, the prototype isn’t an Intel discrete GPU, as some reports suggested, but this is rather a “test vehicle” to explore GPU power efficiency. 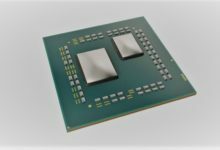 Details about Intel’s new GPU design were revealed at the International Solid-State Circuits Conference (ISSCC) a while ago. 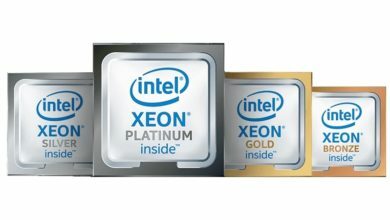 The design is based on the same Gen 9 architecture that Intel is utilizing for their current iGPUs. 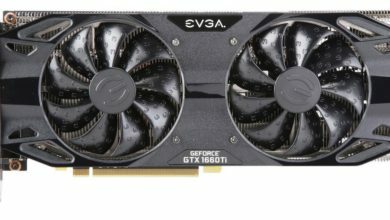 Built upon the 14nm fabrication process, the GPU prototype also includes an FPGA to communicate with the PC over PCI Express. 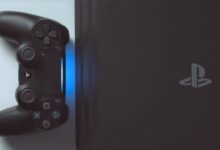 At 1.2V, the GPU would reach speeds as high as 400MHz. 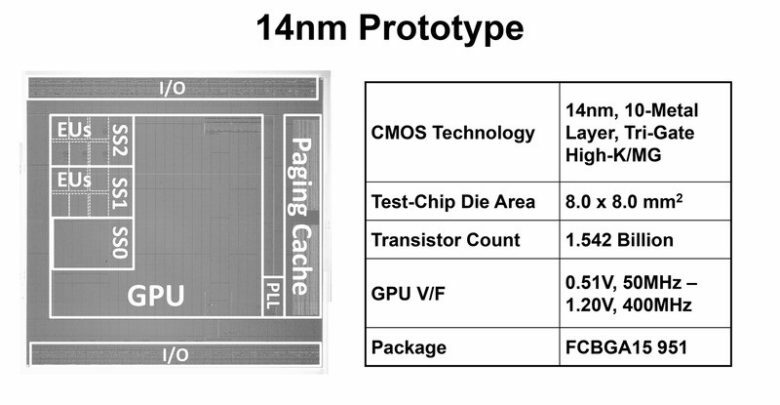 Further, the test chip has a surface area of 64mm2, featuring 18 Execution Units (EUs), and a total of 1.5 billion transistors. 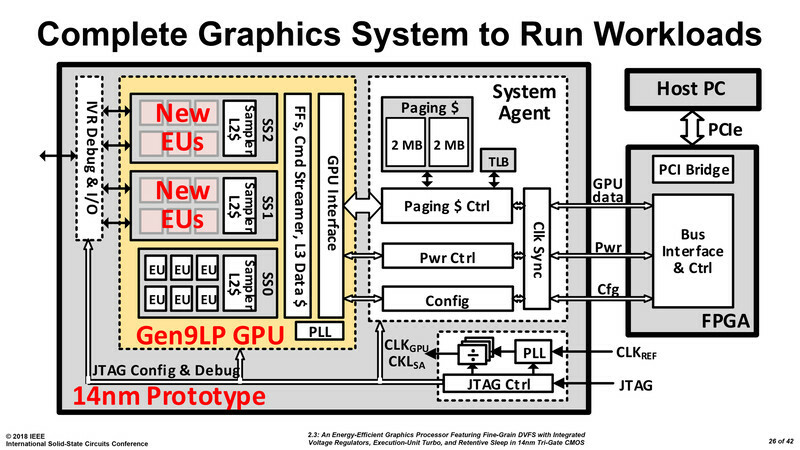 For reference, the entry-level Nvidia GeForce GT 1030 has 1.8 billion transistors. Last week at ISSCC, Intel Labs presented a research paper exploring new circuit techniques optimizes for power management. 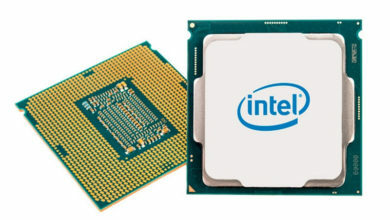 The team used an existing Intel integrated GPU architecture (Gen 9 GPU) as a proof of concept for these circuit techniques. This is a test vehicle only, not a future product. While we intend to compete in graphics products in the future, this research paper is unrelated. Our goal with this research is to explore possible, future circuit techniques that may improve the power and performance of Intel products. Back in November last year, Intel hired ex-Radeon boss Raja Koduri to head up the newly-formed Core and Visual Computing Group. 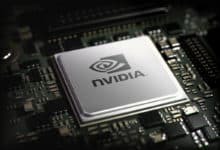 At the time, the company made it clear that it had plans to build high-end discrete GPUs for a broad range of computing segments. 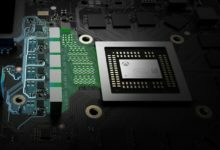 With that said, even for an experienced GPU architect like Koduri, three months are just not enough to prototype an entire functioning graphics architecture. 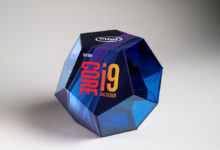 There is still a long way to go before we see any Intel discrete GPU, but whenever that happens, I hope the product will pack a little more punch than the GPU design published at ISSCC.